It’s important to choose the right kind of fencing. There’s a lot of thought required when choosing fencing materials to contain farm animals. Different animals require different types of containment. 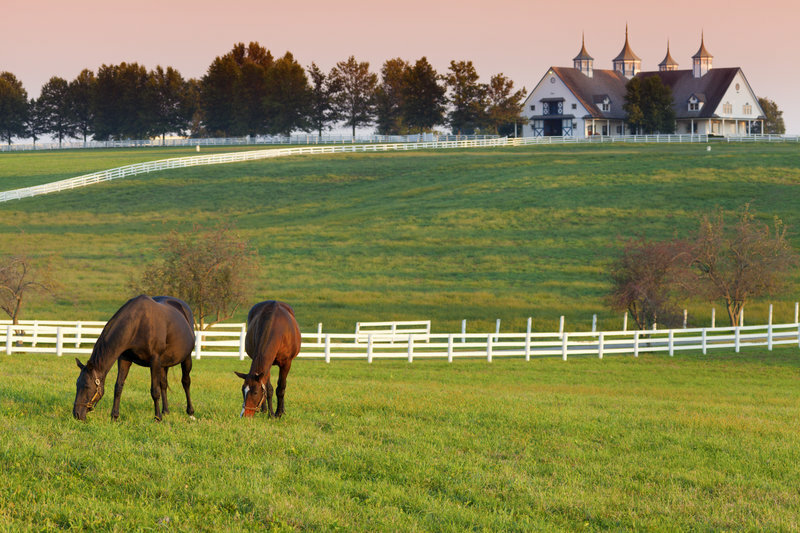 How can you tell which types of fence to build on your farm? When settlers first began building farms on American soil, they were able to use the heartwood of ancient, hardwood trees. This wood was strong and durable, often lasting for 100 years with little maintenance. Unfortunately, such wood is no longer readily available today. The wood that is commonly milled in the average lumberyard is soft, only lasting for about five to seven years without maintenance. However, there is an option to buy pressure-treated wood, which, when maintained with paint or stain, can last up to 20 years. Wood fences are a great choice for small horse containments, such as a paddock or training area. For larger areas, it is less economical to use a long expanse of wood fence. This is where we turn to the chain link fence. A chain link fence is a great containment for a wide variety of animals, including horses, sheep, poultry, pigs, and goats. These animals are escape artists; they climb, dig, or fly through many types of fences. A chain link fence is the preferred fencing to keep these animals contained. The strength and durability of a chain link fence makes it a difficult barrier to break through. Because it’s so durable, a chain link fence also requires little maintenance over the years. A good chain link fence can last for up to 20 years with only moderate maintenance. Finally, livestock require an extra durable fencing to keep them contained and controlled. For this, we recommend a high tensile wire fence. Because livestock are large, strong, and move in a herd, it is especially important to have a strong, reliable containment system. Electric fences are preferred by most livestock farmers for their reliability to keep cattle and bulls contained. Because livestock animals have a herd mentality, they naturally respond to force. A stronger bull will bite or kick to assert dominance. The electric fence provides a bite that a large livestock animal can respect, and eventually all the animals in the herd learn the perimeter of their containment. Hercules Fence of Richmond, VA prides itself in installing fences at some of the most prestigious places in the world, real estates, as well as government agencies and well known businesses. We are proud of our unique and prestigious fence installations that we like to recognize as our ”Signature“ projects. Whether a custom installation designed by a Hercules professional, or a challenging project at a national landmark, Hercules fence takes a special pride in these jobs. This entry was posted on Thursday, October 29th, 2015 at 6:25 pm. Both comments and pings are currently closed.